Chemistry and Physics of Mechanical Hardness presents a general introduction to hardness measurement and the connections between hardness and fundamental materials properties. 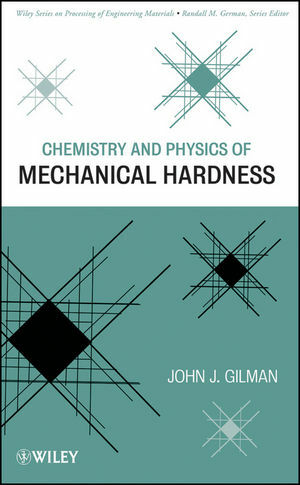 Chemistry and Physics of Mechanical Hardness is essential reading for materials scientists, mechanical engineers, metallurgists, ceramists, chemists, and physicists who are interested in learning how hardness is related to other properties and to the building blocks of everyday matter. John J. Gilman, PhD, is Research Professor in the Department of Materials Science and Engineering at UCLA. He has been contributing to the scientific literature of mechanical hardness for almost fifty years. Dr. Gilman is the author of three other books and 325 technical papers, and the owner of six patents. He has been an editor for various books and magazines.